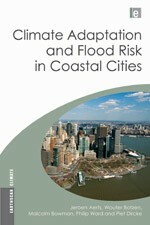 This book presents information about climate adaptation and flood risk scenarios for coastal cities. Jakarta, Rotterdam and New York are selected for investigation. The book considers areas that are not adjacent to coastal areas that contribute to flood risk impacts such as drought and temperature changes. The authors wonder if new infrastructure can be designed to meet these challenges, and how existing facilities and areas can mitigate impacts. Few people would argue that the climate is changing day by day. Over the last few years, extreme events have become the norm and the incidence of coastal flooding seems to be increasing with dramatic impacts requiring solutions. The editors of ‘Climate Adaptation and Flood Risk in Coastal Cities‘ present climate adaptation and flood risk problems along with potential solutions for three cities -Rotterdam, Jakarta and New York. The text is written by numerous international authors. The result is a comparison of each location that is designed to help readers to understand, plan and organise possible implementations for reducing impacts. Flood risk is defined as the probability of flooding multiplied by the potential consequences, such as economic damage and or loss of lives. It is dependent upon hazard characteristics, exposure and vulnerability. To combat flood risk, flood risk adaptation plans need to be developed. And, in some cases, these are digital and act as models. By the middle of the century, most of the world’s population will be living near deltas, estuary’s and coasts – each immediately impacted by flooding due to available flood pathways. The editors say that the flood risk has risen in The Netherlands seven-fold over the last 50 years because of the increasing pace of urbanization. Loss projections for the world’s ten largest cities will have increased by 22% by the year 2025. Graphics are provided throughout this book along with tables and charts. 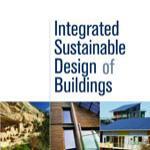 These provide good summaries to support the discussion and information in each chapter. They clearly show, for example, that African flooding will impact larger and larger numbers of people up to 2075. Why are socio-economic scenarios relevant for flood risk studies? The editors point to the fact that energy use type as related to human use is directly related to flood risk probability. While that observation is not new, the book attempts to take a more holistic view toward the inter-related factors comprising climate budgets and their possible mitigation. Both the Lands and Safety First programs ran in The Netherlands from 2006 until 2008. These projects provided a wealth of information regarding flood risk scenarios and socio-economic realities. They clearly identify international factors relating to governance as key contributing factors leading to reduced flood risk – provided governments and policy bodies act. In the case of the Port of Rotterdam, much of the infrastructure is built upon banked lands with an elevation of 5m above sea level and assumes a flood risk of 1/10,000 years. North Sea surges and spring high tides are the major events leading to vulnerabilities within the port. Knowing this information, the likelihood of events similar, to say, New Orleans when Hurricane Katrina landed, can be designed to factor in potential vulnerabilities. The book discusses the Rotterdam situation with a view to types of facilities within the port, and the consequential damage categories. The cornerstone of the Dutch major hazards policy is linked to: 1) quantitative risk analysis, 2) individual and societal risk as risk.determining parameters and 3) quantitative acceptability criteria – the later signalling how much risk the population is willing to accept. New York City has a long history of hurricane related and storm surge events. The historical records document these events. The period 1997 to 2010 was the quietest period for such events, however, 2011 gave rise to one of the most dangerous hurricanes with Hurricane Irene. That event closed the city subway system. Lower Manhattan can be readily flooded and the editors point to the fact that recent development in New Jersey also lies on low lands and a Category 1 hurricane could pose real problems to those areas. The book discusses the hurricane of 1938 in the city, an event that saw 57,000 homes damaged and 682 people killed. By current financial estimates, that hurricane cost the city $4.7 billion. Graphs of the storm surges for 1962 are also included in the book for New York City along with discussions of storm surge warning systems for the east coast. 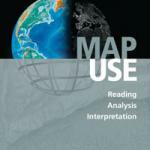 Water level modeling and storm surge prediction are similarly presented in the book. Because many cities sit at the coast where long rivers end, factors related to inland climate issues are included. It is logical to assume that rainfall rises during extreme events, thereby creating upstream flood contributing events that ultimately find their way downstream to impact coastal communities. Such happenings pose real problems for evacuation procedures, but also give rise to considerations that include land use, amount of cemented land contributing to run-off and so on. The book investigates flood risk modeling, discussing factors and types of floods – the Rhine Delta, England and Wales along with Perth, Australia are included. Flood defences and infrastructure specifically designed to mitigate flood risk are presented. There is debate surrounding issues of flood control and urban planning. Sometimes the structures built, while effective for flood prevention, do not meet aesthetic considerations. The editors include discussion about this topic. One of the most interesting chapters of this book is about Backcasting – deal with uncertainty through (participatory) backcasting. This refers to a tool for policy analysis that is based on the notion that we assume a certain condition now, then look at it through going back in time – the idea being to see how it could be avoided. What actions need to happen to avoid certain kinds of outcomes? This can be considered as a ‘what-if’ scenario. This approach differs from forecasting because it places policy considerations directly into the considerations, and attempts to evaluate their impacts leading toward the current state. In summary, ‘Climate Adaptation and Flood Risk in Coastal Cities’ provides an excellent overview about the factors and solutions involved in meeting climate adaptation challenges for coastal cities. It draws on history, but also knowledge from previous experiences, to provide readers with a clear pathway for assessing these locations, the considerations involved with respect to flood risk, and how best to tackle them. 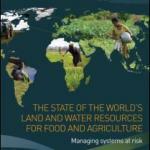 This book attempts to provide a clear picture on the relationship of governance to flood risk. In fact, the pages clearly point to the notion that poor policy can lead to lives lost, increased damages and poor response. 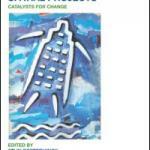 In this sense, the book is successful in meeting the challenge of climate change adaptation.